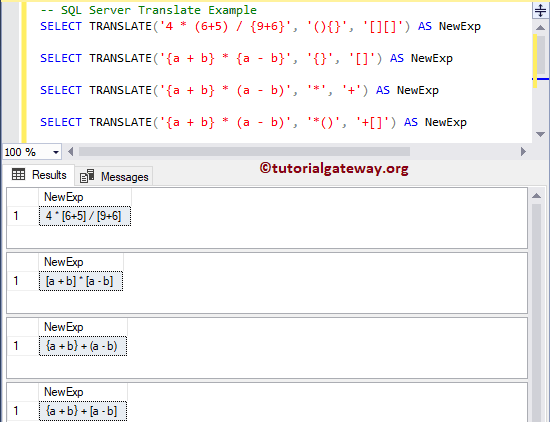 The SQL TRANSLATE is one of the String Function, which is used to translate the string expression by replacing the specified characters with new set of characters. In this article we will show you, How to use/write TRANSLATE with example. translation_chars: This function will replace the characters with these translation_chars. Remember, the type and length of second and third argument should be same. The following query will translate the characters using Translate function.